As Tax Day approaches, millions of Americans are becoming increasingly filled with panic and dread. The Trump tax cuts may offer some relief. But not everyone will benefit greatly from them. A few could even see a higher tax bill for 2018 thanks to newly imposed limits on certain deductions. The tax code itself remains absurdly complicated, needlessly invasive, and patently unfair. Some of that unfairness targets precious metals investors in particular. For example, the tax code arbitrarily treats capital gains on all forms of physical precious as “collectibles.” For no good reason, the IRS taxes collectibles at a rate of 28% instead of the lower rates that apply to long-term gains on real estate or paper assets such as stocks. Still, physical precious metals can be tax efficient investments if held the right way. Since a gold or silver coin pays no interest or dividends, it never generates any tax liabilities unless and until you sell. By contrast, stocks, bonds, mutual funds, and exchange-traded products (including those that purport to track metals markets) can issue taxable distributions that you literally can’t refuse. 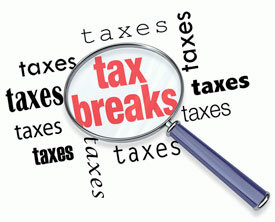 The IRS will be notified of all the interest and dividend income you receive. It will know about any sales of financial assets that generate capital gains or losses. Your financial records can potentially be perused by other third parties such as trial lawyers – or hacked into by data thieves. Physical precious metals purchases and sales almost never generate such records. Except in very rare circumstances, coin dealers file no tax forms with the IRS or transaction reports with other government agencies. Unlike paper assets, bullion can be held privately. This isn’t to suggest that you should avoid reporting any capital gains on bullion that you are legally required to report! Fortunately, there are legal ways to shelter your gold and silver gains from taxation. One of the most straightforward and effective ways to shield metals’ gains from taxes is through an IRA. Stock brokers and financial advisors aren’t necessarily keen on informing their clients of this opportunity. But in fact, you can hold certain non-financial tangible assets – including IRS-approved gold, silver, platinum, and palladium bullion products – inside a Self-Directed IRA. Your bullion will typically be held on your behalf by a custodian (this article goes over the nuts and bolts of selecting an IRA custodian and funding the account). Within the IRA, you can sell some or all of your holdings, trade one metal for another, or even switch the account back to conventional financial assets with your bank or brokerage house – all without tax consequences until you actually take withdrawals. When it comes time to take distributions, you can do so by taking possession of your actual IRA coins, if you wish. It is still possible to contribute to an IRA for tax year 2018 before the filing deadline. The maximum individual contribution to a traditional or Roth IRA is $5,500 ($6,500 if over age 50). For tax year 2019, you can contribute up to $6,000 ($7,000 if over age 50). When it comes to taxation of precious metals at the state level, laws vary widely. Some states impose no sales or income taxes on Constitutional money. Others treat gold and silver as a revenue source. The good news for metals investors is that in recent years several states have passed, or are currently considering, legislation to exempt precious metals from taxation. For example, in March, the West Virginia legislature voted to remove sales taxes on retail precious metals products, and the governor just signed the bill into law. Meanwhile, West Virginia Congressman Alex Mooney is working to reform the U.S. tax laws in Washington, D.C. 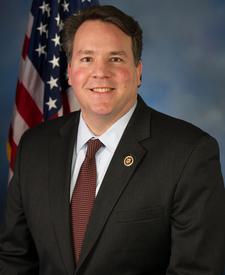 Earlier this year, Mooney introduced the Monetary Metals Tax Neutrality Act (H.R. 1089). This bill would “clarify that the sale or exchange of precious metals bullion and coins are not to be included in capital gains, losses, or any other type of federal income calculation,” according to the Sound Money Defense League. the new Sound Money leader in Congress. Mooney argues that since the U.S. Constitution recognizes gold and silver as legal tender, the government should not be taxing money itself. Exchanging a dollar for four quarters isn’t a taxable event, so why should exchanging a gold coin into its equivalent in dollars be taxable? His fellow lawmakers have no good answer. Unfortunately, House Speaker Nancy Pelosi and her partisan minions in the deficit-spending Congress don’t much care about sound money principles. And they surely don’t want to give up any revenue sources. If any tax reforms favorable to precious metals investors are to come out of Washington anytime soon, they will likely have to be enacted at the administrative level. President Donald Trump could, for example, demand that the Internal Revenue Service either justify or abandon its unfair treatment of the money metals as “collectibles.” He could also instruct his Treasury Department to clarify the legal tender status of gold and silver coins produced by the U.S. Mint and issue new rules exempting them from taxation. In the meantime, metals investors should consult their tax advisors and consider every legal maneuver currently available to keep more of what is theirs.